Corri Garza: Paper Issuess - In the Navy! Paper Issuess - In the Navy! Hi everyone! It's time for a new issue over at Paper Issues! The theme this time is "In the Navy"! Link up all your nautical, ocean, patriotic type projects for a chance to win two collection packs from Echo Park! 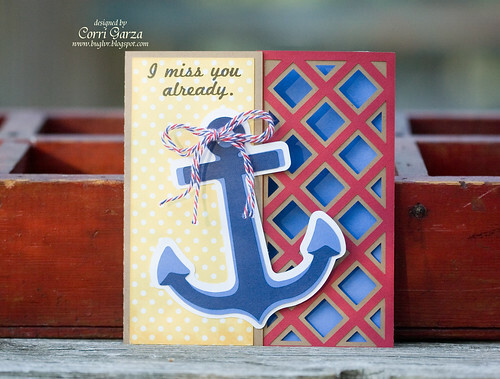 I'm linking up this fun anchor card I made a while back. This fabulous card is from the SVG Cuts High Skies SVG Kit. Head on over to Paper Issues to link up!